Effective March 21, the Federal Motor Carrier Safety Administration granted an exemption to the American Concrete Pumping Association (ACPA) to allow all concrete pump operators, concrete pumping companies, and drivers who operate concrete pumps in interstate commerce to count on-duty attendance time toward the 30-minute break. FMCSA's exemption is for concrete pump operators and drivers who remain with the CMV (i.e., wait) while not performing any other work-related activities to count that time toward the 30-minute break. The only subject of the exemption is the duty status of the driver while “waiting” with the vehicle during a required rest break. (1) Drivers who deliver, set-up, and operate concrete pumps in interstate commerce across the United States, and all concrete pump operators and concrete pumping companies and drivers, are exempt from the requirement for a 30-minute rest break in Section 395.3(a)(3)(ii), in that they may count “waiting” periods when they are performing no work activity as the required 30-minute break. (2) Drivers must have a copy of this exemption document in their possession while operating under the terms of the exemption. The exemption document must be presented to law enforcement officials upon request. (3) All motor carriers operating under this exemption must have a “Satisfactory” safety rating with FMCSA, or be “unrated.” Motor carriers with “Conditional” or “Unsatisfactory” FMCSA safety ratings are prohibited from using this exemption. FMCSA does not have jurisdiction over intrastate transportation; however, most states have commercial motor vehicle statutes and regulations that are compatible with Federal regulations. An FMCSA exemption only applies to interstate transportation, although some states honor them for intrastate traffic. Last October, citing safety concerns, the ACPA formally petitioned the Federal Motor Carrier Safety Administration (FMCSA) for an exemption to the minimum 30-minute rest break provision under the FMCSA’s hours-of-service (HOS) regulations for commercial motor vehicle (CMV) drivers. Specifically, the ACPA had requested that concrete pump operators may use 30 minutes or more of on-duty “waiting time” to satisfy the requirement for the 30-minute rest break, provided that they do not perform any other work during the break. This request mirrors the exemption granted in 2015 to the National Ready Mixed Concrete Association (NRMCA). ACPA requested the exemption because the mandatory 30-minute rest break may increase the risk of dangerous conditions on job sites. A mandatory break during which the concrete pump operator is considered to be “off duty” would require the pump to be shut down and likely cleaned out. Stopping the flow of concrete through the pump creates the risk of introducing air in the pump's pipe system which in turn could cause hose-whipping that can injure not only the pump operator, but any personnel within reach of the hose. ACPA also said that concrete is a perishable product and as such, creates difficult schedule coordination issues due to concrete being needed on a just-in-time basis. 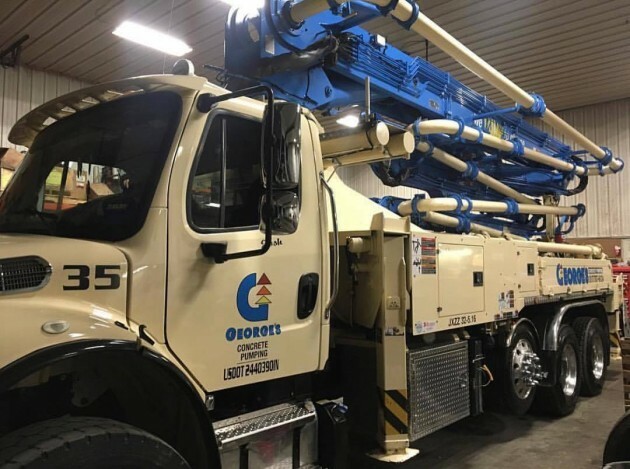 Concrete pump operators cannot plan the timing of the 30-minute break because they cannot interrupt their work activity without the threat of failure - failure to accept and deliver concrete within its perishable limits, and failure to comply with their contracts. Once the ingredients of ready-mixed concrete have been combined, there is a brief window during which the product can be pumped (roughly 90 minutes before the concrete hardens). If the concrete pump operator was required to take the 30-minute rest break, it would cause a ripple effect on the ready-mixed concrete trucks in line to supply the pump. Such a delay could cost thousands of dollars to rectify and could potentially violate a delivery contract, according to ACPA. Once the concrete pump starts to receive a delivery, it must be completed without disruption to conduct a safe and structurally sound pour. ACPA said operators take breaks during their work day and the mandated 30-minute break is unnecessary and would not contribute to additional worker safety. ACPA represents more than 600 member companies who employ over 7,000 workers nationwide.